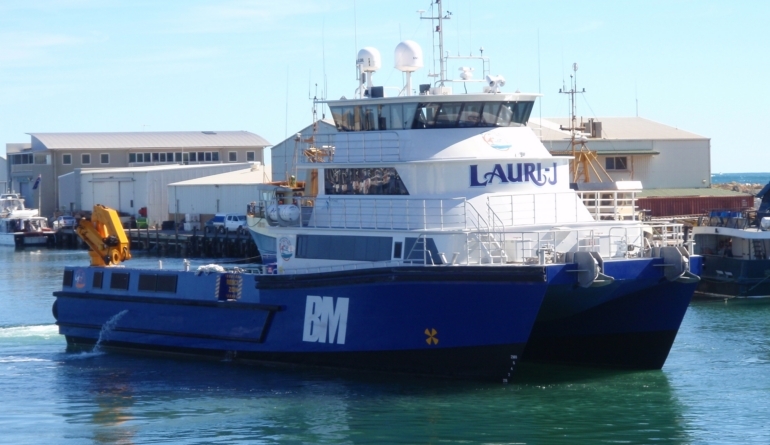 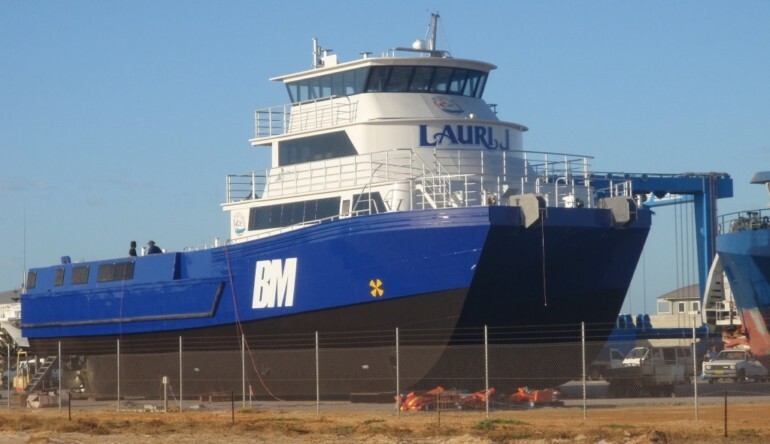 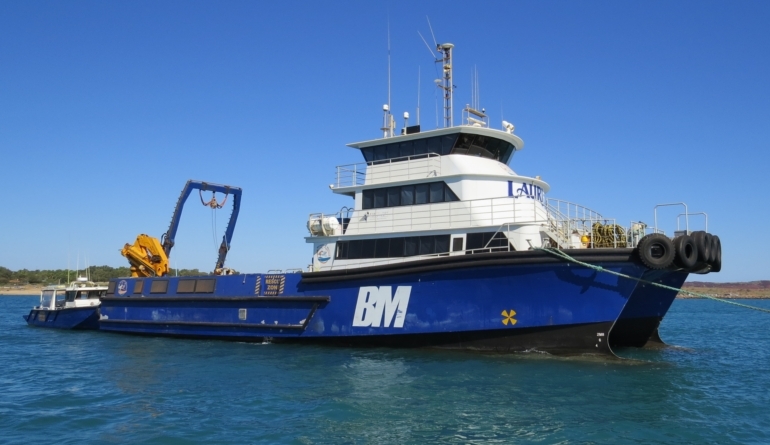 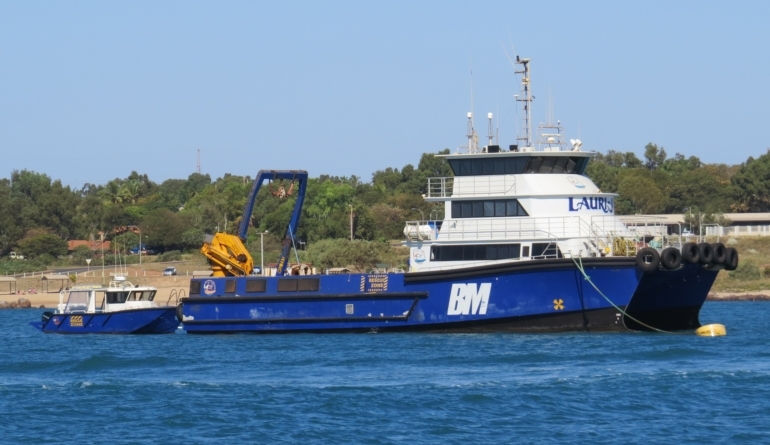 The 30 metre “Laurie J” is yet another excellent work catamaran for the Loui Kannikoski ‘Bhagwan Marine’ fleet, servicing the Australian Oil and Gas Industry. 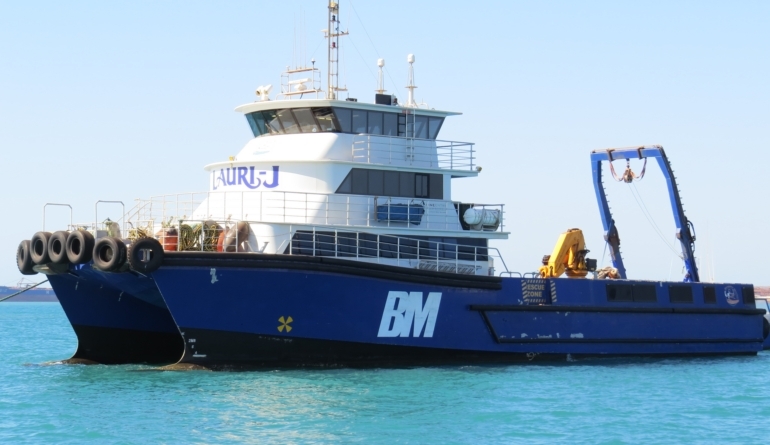 Launched early 2009, the vessel is operational working at 200+ tonnes loaded and 14 knots continuous. 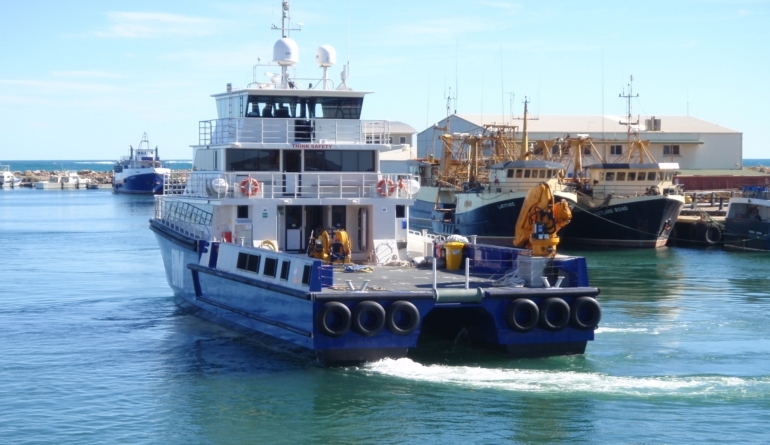 In 2011 we designed “Z-Bows” due to the changing bow loads and to further improve seakeeping, with excellent results all around. 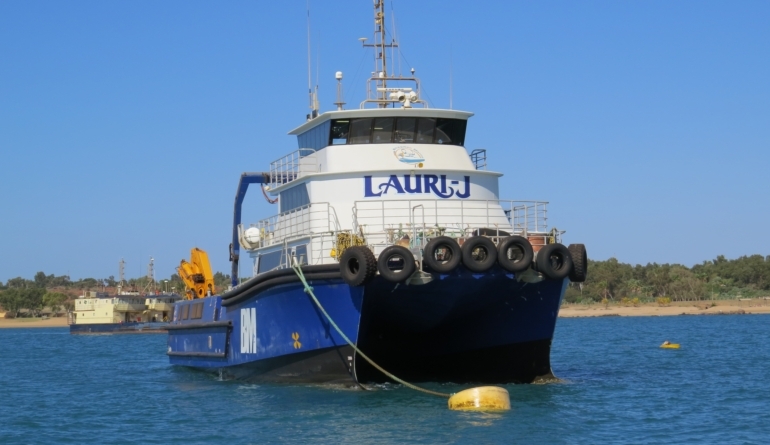 The vessel picked up approximately 2 knots through the range and on a recent voyage with full fuel and 22 tonnes of deck cargo, maintained 16 knots in 25-30 knots of wind and 1.5 to 2 metres of sea with zero tunnel slap. 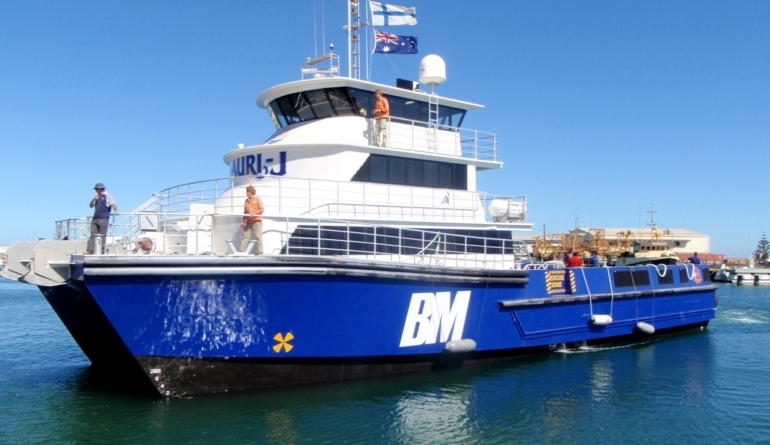 The Z Bows will be a standard feature on this vessel from now on. 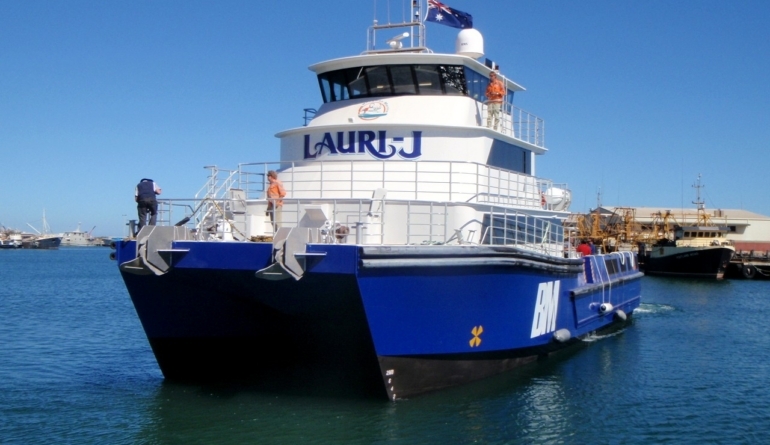 There is a positive lean towards plum stemmed vessels and Z bows, so this keeps us right at the forefront of development in the offshore vessel design competition. 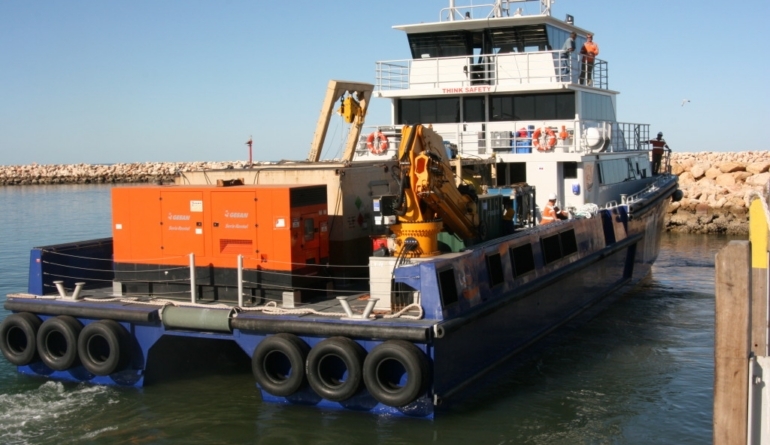 Servicing the Oil and Gas industry with crew transfers, cargo transport and standby support. 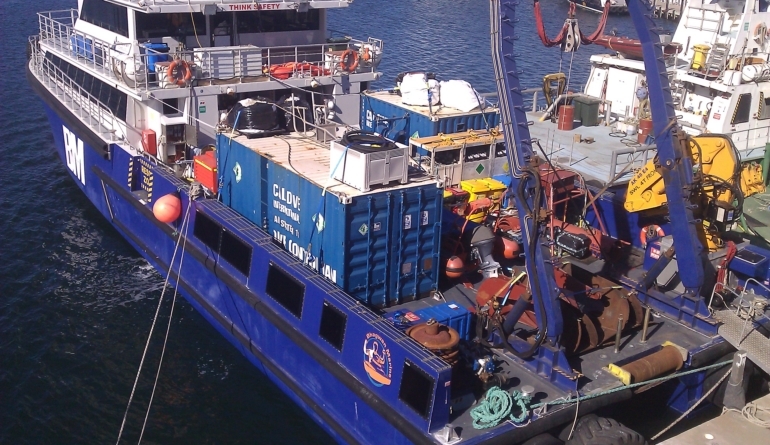 When it it too windy for the helicopters OUR CATS KEEP WORKING THE RIGS AND PLATFORMS.